What a child wears to school reflects their attitude to learning. 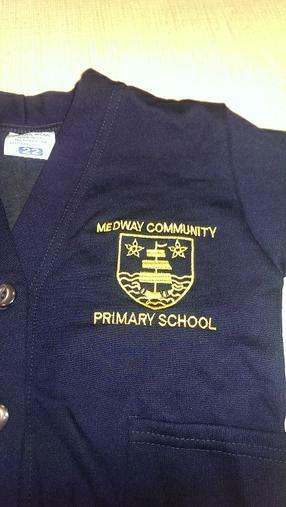 At Medway Primary School uniform plays an important role in the ethos of the school. 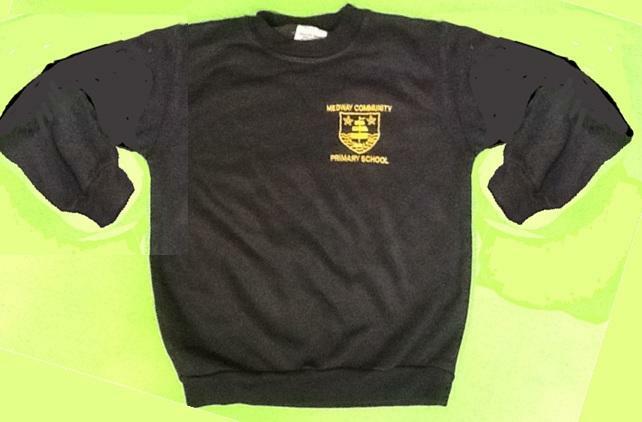 Children should always wear a school sweatshirt or cardigan: navy with the school logo. In addition, children should wear a white shirt or white polo t-shirt. Trousers or skirts should be grey or black. Girls can wear a navy and white gingham summer dress. Children are expected to wear sensible black shoes to school. As a general safety rule, please ensure that your child wears sensible shoes for school: no high heels or flimsy sandals. It is helpful if children have shoes they can fasten themselves. Shoes should be pure black with no other colours or highlights. Any other items worn - socks, tights, leggings, hats and scarves should be appropriate colours to go with our uniform: black, white, grey or navy. We ask that children do not wear make-up or nail varnish. With the exception of stud earrings and watches, jewellery is not permitted. For safety reasons, these must be removed for P.E. and swimming. 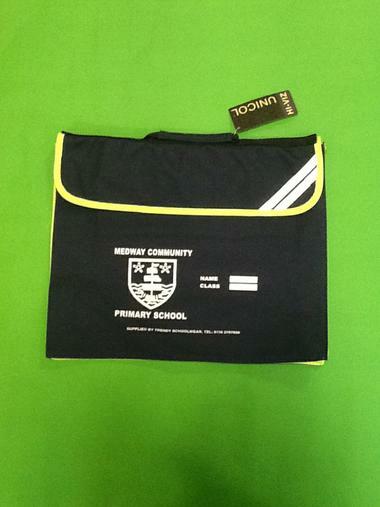 It will help you and the staff if all items of clothing, footwear, lunchboxes and book bags are clearly labelled with your child's name and class. Whilst every care is taken of pupils' property, no responsibility can be accepted for loss or damage. Lost property will be kept in reception for one week after which it will be forwarded to Mrs P.
After the first week back of each new term, unclaimed lost property from the previous term will be disposed of.